And grassroots groups in Northern Ireland are looking at ways to mark the record-breaking date. If nothing changes before, on 28 August Northern Ireland could break the world record for the longest time a state has not had a government. The lack of a Northern Ireland Executive after its collapse in January 2017 is affecting every area of society as well as holding up many hundreds of millions of pounds in investment and the creation of thousands of jobs. The Irish Times, outlining some of the major areas where government is gridlocked in Northern Ireland, said that the most emotionally charged issue is that the survivors of historical institutional abuse have not received a penny in compensation. In January last year, for example, the Historical Institutional Abuse Inquiry, led by retired High Court judge Sir Anthony Hart, reported it had found evidence of sexual, physical and emotional abuse, neglect and unacceptable practices in the 22 Catholic, Protestant and state-run homes and institutions that it investigated. Hart called for an apology, for a memorial, for support services, and for a redress system so that an estimated 500 victims and survivors could receive compensation payments ranging from a minimum of £7,500 up to a maximum of £100,000 depending on the level of abuse they had had to face. But that is not now – yet – happening. Ad Westminster announced recently that it was ending the 1 per cent pay rise limit for public servants in Britain with increases on offer of up to 3 per cent. But with no Northern Ireland Executive again senior civil servants feel they are not in a position to offer such rises to nurses, teachers and police officers in Northern Ireland – which apart from the inequity of the position is sure to anger public sector unions and their members. There are scores of public appointments to numerous boards to be made, but again with no ministers there can be no appointments. The North’s Policing Board, which holds Northern Ireland’s police (PSNI) to account, has no legal authority because there is no Minister of Justice. And adding insult to injury, ITV reported that it had cost the public over £9 million – £6.3 million of which went in the last year to pay the Members of the Legislative Assembly (MLAs) and that during the more than 565 days (so far) that the Assembly has not been sitting and NI has not had a government MLAs have not only been paid but actually received a pay increase. That figure was revealed in a Northern Ireland Affairs Committee meeting in which Secretary of State, Karen Bradley, was pressed on why she still has not decided if MLA pay will be cut. 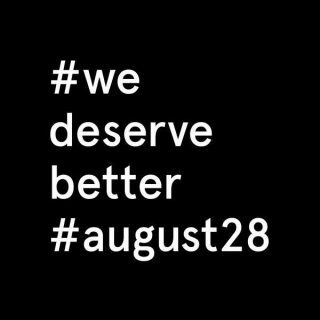 And as the impasse continues some grassroots groups in Northern Ireland are looking at ways to mark the record-breaking date – 28 August 2018 – under the slogan #WeDeserveBetter. 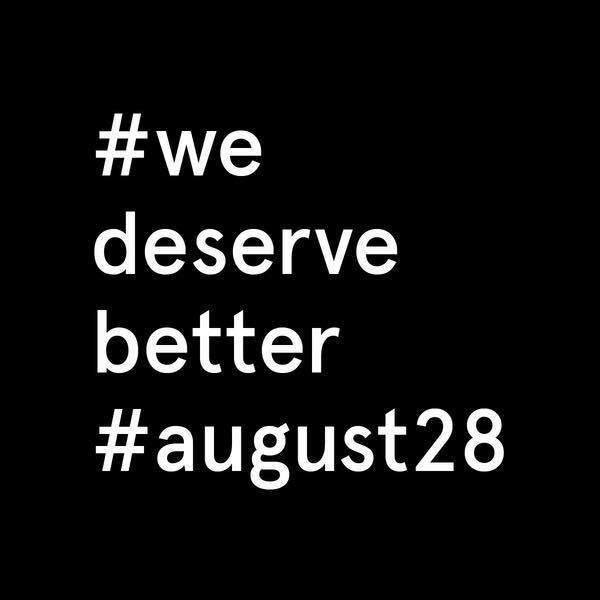 The idea behind #WeDeserveBetter #august28 is that people will be out on the streets in a peaceful colourful creative campaign to say they have had enough. On the grounds that a government is supposed to work on behalf of the people and this government is not working at all – and it is up to the people to hold them to account. You can check out or follow events on their facebook page. In the women’s sector there have been many examples of how this time without a government has held back work the work of diverse women’s organisations and groups and has made it harder to make any progress in improving the day-to-day lives of women and girls in terms or schooling, health and fighting poverty, let alone longer terms plans for achieving equality for women. The Women’s Resource and Developement Agency (WRDA) has set up a short survey which aims to gather the views and experiences of everyone involved in women’s groups and organisations that lobby or campaign for equality, rights or services for women. If this includes you, please fill in the short survey and say how you think the current political vacuum is affecting your work. The survey closes on 20 August, and the results will be launched in a press release timed to coincide with the other #wedeservebetter campaign events on 28 August. While the political circumstances around the current stalemate may be contentious, we can all agree that women are losing out – and will be until a solution is found.